The WSRC has had a presence on the Buffalo, New York waterfront for over 100 years. While the Club has worked out of four different locations, the current site at One Rotary Row (also known as 48 Porter Avenue) has been “home” for over 32 years. This site is located on the Black Rock Channel (next to the Niagara River), which is at the eastern end of Lake Erie. More specifically, it is at the foot of Front Park and just south of the famed Peace Bridge connecting Canada and the United States. The Black Rock Channel provides the Club with a number of possible rowing options including a 1500 meter course, a 2000 meter course, a 3 mile Head course and access to over 10 miles of water to train (conditions permitting). The WSRC campus consists of two boathourses: the Doc Schaab Boathouse and the Frank Lloyd Wright designed Charlie & Marie Fontana Boathouse. The Doc Schaab Boathouse consists of five bays, four bays are designed with custom boat racks and house 80 of WSRC's training and racing fleet. The fifth bay is an enclosed, climate controlled training center with 40 ergometers, spinbikes and other training equipment. Attached to the Doc Schaab Boathouse is the WSRC Clubhouse. This two-story brick structure contains a workshop, ten person tank room and training center, locker rooms, a boardroom and a kitchen. The Frank Lloyd Wright Fontana Boathouse opened in 2007 right next door to WSRC. The Frontana Boathouse added two boat bays, 160 feet of dock space, additional locker rooms and a meeting room for the WSRC campus. The indoor rowing tanks provide members with an opportunity to experience sweep rowing without ever leaving land. 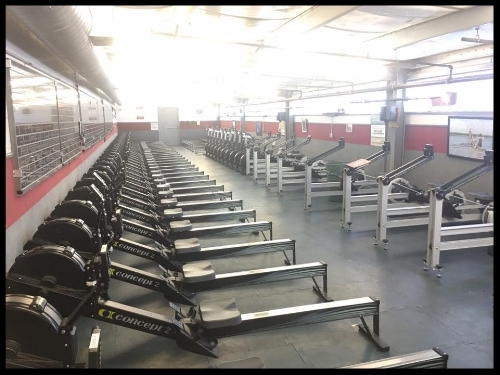 Our ten station tanks simulate the complete rowing stroke which allows new rowers to learn basic rowing techniques while experienced rowers can fine-tune their rowing skills. The tanks are an invaluable asset to the WSRC, especially when adverse weather or a frozen canal prevents on water training. Besides using the indoor rowing tanks, rowers can utilize the Club’s training room which is primarily used for aerobic exercise. Today there are 40 ergometers, 10 bike ergs, and 10 dynamic ergs. The two boat storage facilities, the Doc Schaab Boathouse and the Fontana Boathouse, house over 100 shells including singles, pairs, doubles, fours and eights. In addition, over 300 oars are stored in the boat bays of these buildings. The Club is serviced by four boat launching docks – two 60 foot docks outside the Doc Schaab Boathouse, one 160 foot dock outside the Fontana Boathouse and a 60 foot motorboat dock. The Club’s Board room is located on the second floor of the brick building and also serves as the Trophy room for plaques, trophies and medals won at major championship regattas. In addition, there are other forms of recognition in this room that honor the rowers for their achievements as well as participation at the elite level including Olympic and World Championship events. The Board room can also be used for special events and is next door to a full service kitchen. In 2012, with the assistance and generosity of the WNY Foundation, WSRC built an outside storage facility on the east side of the Doc Schaab Boathouse. This facility, which is surrounded by a eight foot high fence, serves two purposes: first, a storage area for the Club’s motorboats and second, a fenced-in secure area for the Club’s gas storage tank. 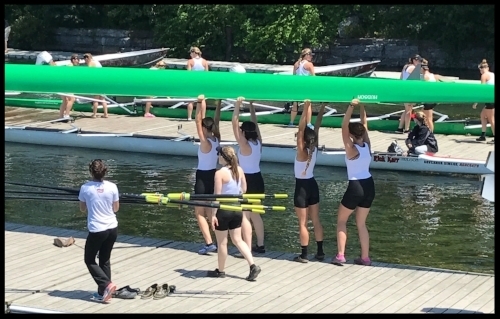 The Doc Schaab Boathouse and Fontana Boathouse are generally staffed between 8:00am and 6:00pm daily (with some earlier morning and later evening hours). These hours are subject to change without notice, and visitors are encouraged to call ahead.